The present Governor of Cross River State, Liyel Imoke has been airlifted back to the United States of America for urgent medical treatment. SaharaReporters had disclosed earlier that Mr. Imoke, who is serving his second term as governor, was in the US for medical treatment related to kidney disease. Two sources confirmed the governor’s medical trip to our correspondent. One source, a major political figure in Calabar, the capital of Cross River State, told SaharaReporters that Governor Imoke left Nigeria two days ago to continue treatment in the US. Another source indicated that Governor Imoke would receive treatment in the Maryland area, near Washington, DC. One of our sources disclosed that the governor’s health had taken a bad turn recently, necessitating his urgent trip abroad. Mr. Imoke had earlier spent several weeks in the US where he received dialysis as well as a surgical procedure for his severe renal condition. On his return to Nigeria, Governor Imoke had told associates that he had bounced back to health. He and his family as well as political associates recently organized an elaborate thanksgiving party to celebrate Governor Imoke’s recovery. Among those at the thanksgiving were controversial Bishop David Oyedepo of Winner’s Chapel and Governor Godswill Akpabio of Akwa Ibom. However, our source revealed that Mr. Imoke’s condition deteriorated recently, leading to plans to move him back to the US for further treatment. Before becoming a governor, Mr. Imoke had headed a presidential task force under President Olusegun Obasanjo that was supposed to guarantee Nigerians dependable electric power supply. Despite the failure of that task force, President Obasanjo subsequently appointed Mr. Imoke as Nigeria’s Power Minister. 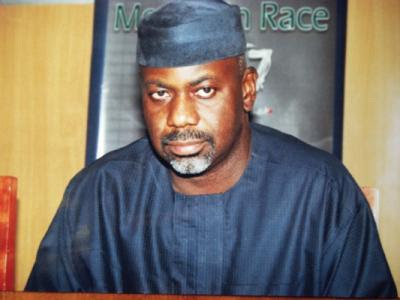 As Obasanjo’s tenure drew to a close, he handpicked Mr. Imoke to become the governor of Cross River State. Our source in Calabar said he was unable to say how long the governor would stay in the US. “I think he will be [in the US] for some time because it will take a while for the doctors there to address his health problems,” said the source. wat he need is GOD in intervention,he should go 4 prayer.i wish him quick recovery in jesus name. it’s really an eyesore for Nigerian politicians who travel abroad for medical treatment. They’ve got the power to build world-class hospitals here in 9ja but they embezzle and loot our treasury instead, maybe they’ve forgotten that if u die you’ll aint taking any dime along with you. God is directly passing message to these leaders to put the decayed infrastructure in place which they are responsible through unending corruption perpetuated over the years. Now is time for them to taste what ordinary people are passing through on daily bases. I thought by now they must have learnt from the Yar’Adua saga, it is a crime to have health facilities in order in Nigeria rather than travel Abroad at a slight of ordinary headache. Today Imoke is being talk about along side other ailing Governors because they have free access to public fund and media, do you know the number of Nigerians that died every minute due to their negligence? God will visit them one by one until they change their attitude and let me tell you no Pastor or Imam in Nigeria can look into a politician face and tell him the truth because of the favour he intend to reap at the end of the day. May God bless Nigeria.